Kids LOVE to sing! Whether its a song they learned at Sunday School or a song they learned at Preschool, they want to share it with you. The Songs Kids REALLY Love To Sing series features popular Bible songs (in English or Spanish), playtime songs, and Christmas favorites all sung by kids for kids. This bargain priced collection is sure to bring back memories from your childhood and help you make new ones with your kids as you sing along. 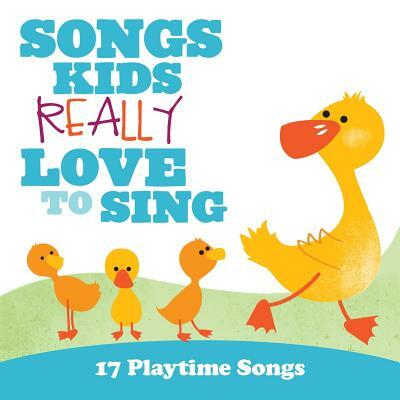 Songs Kids Really Love to Sing: 17 Playtime Songs by Various Artists was published by EMI in August 2011 and is our 16672nd best seller. The ISBN for Songs Kids Really Love to Sing: 17 Playtime Songs is 5099994815528. Be the first to review Songs Kids Really Love to Sing: 17 Playtime Songs! Got a question? No problem! Just click here to ask us about Songs Kids Really Love to Sing: 17 Playtime Songs.